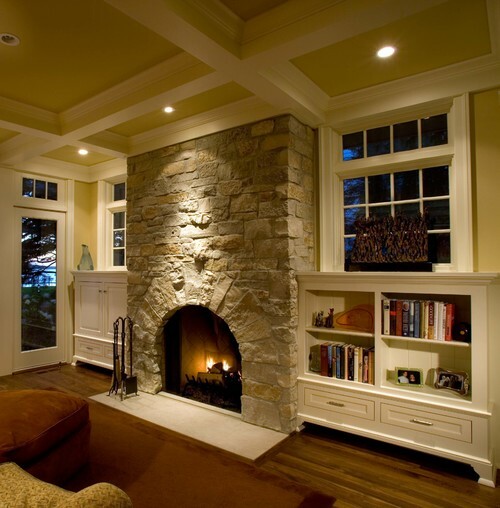 Built-ins are permanent trim elements taking the form of bookcases, bench seats, cabinets, fireplace and mantles, shelves and lockers that usually become the centerpiece of the room. 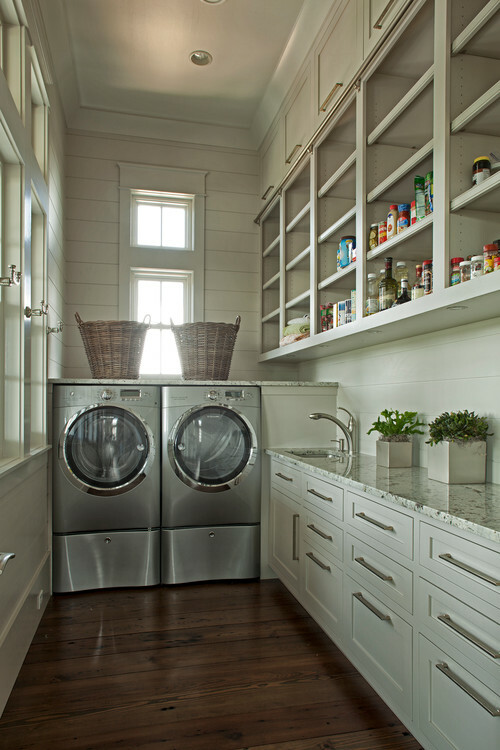 Since built-ins are often large and take up entire walls, natural light is at a premium. With a little planning you can integrate interior or exterior transoms into the built-in design that take it to the next level. The transoms will bring in light that will make the built-ins really shine! Main rooms can be family rooms, great rooms, living rooms or any room with a wall long enough to suit built-ins. Built-ins are beautiful, but most everyone also wants bright, cheerful living areas. Built-ins compete for wall space with windows. Transoms Integrated with the built-in design give the best of both worlds -- enhancing beauty and light. Hints: Try to place the transoms as high in the wall as you can. That gives you the maximum amount of space for built-ins. Contrasting materials like stone, granite or brick work wonders for built-ins. Generally, most people favor the look of ganged triples and pairs of transoms to singles. Ganged transoms can also help make a larger area look more in scale other elements (see top picture). 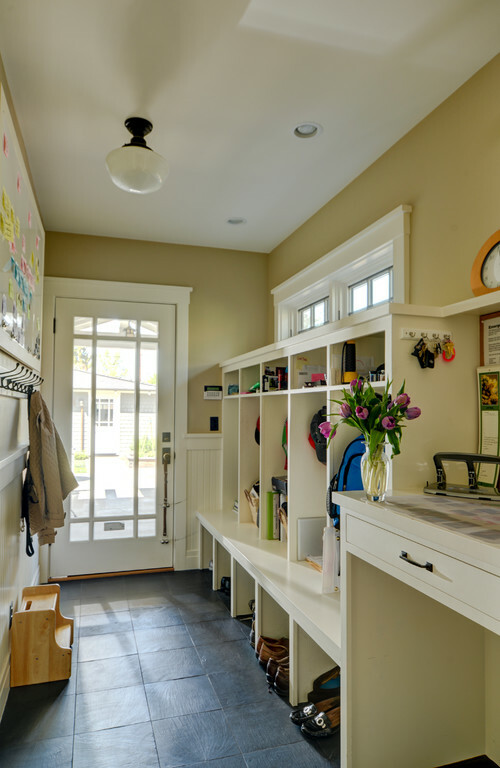 Dream mud room designs always have a seating area to put on your shoes, hangers for jackets and shelves for knick knacks. 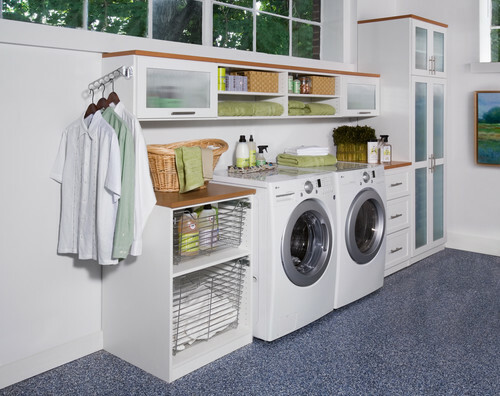 Don't let all these great items make your mud room dark. Integrate transoms into your design! 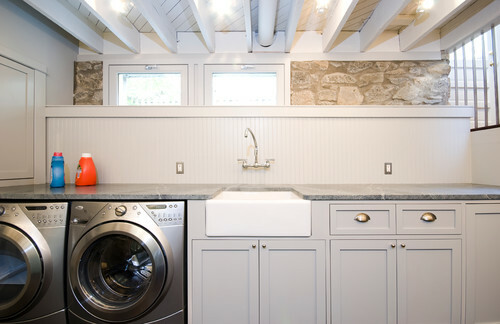 Traditional Laundry Room by Chevy Chase Architects & Designers Wentworth, Inc.
After accounting for washer, dryer, cabinets, sinks and built-ins, wall space is at a premium in laundry rooms. So is light. Tucking windows into the odd spaces that remain can sometimes be the only option for natural light. Transoms can be part of the solution.